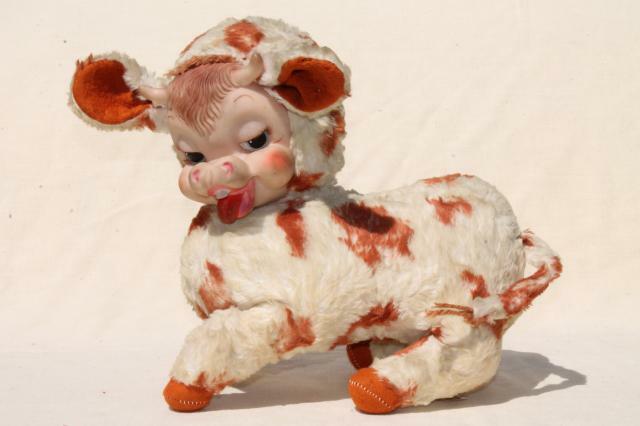 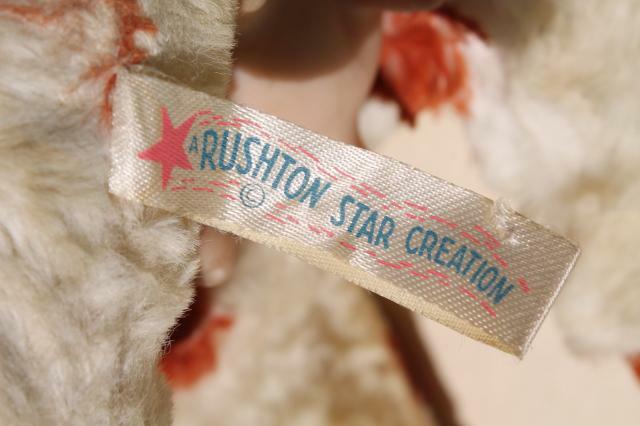 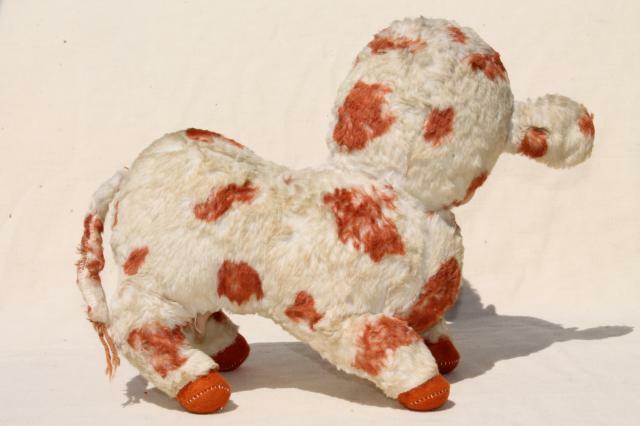 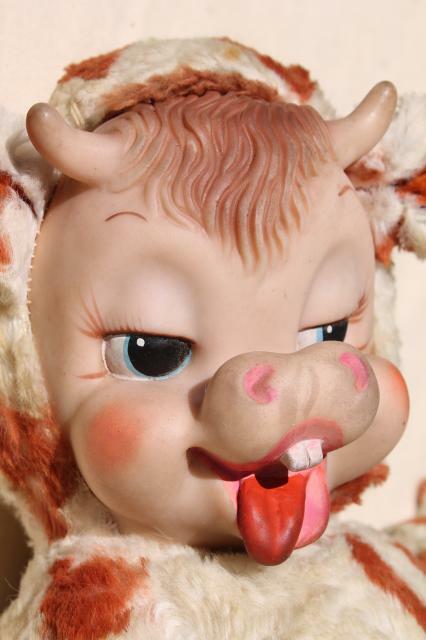 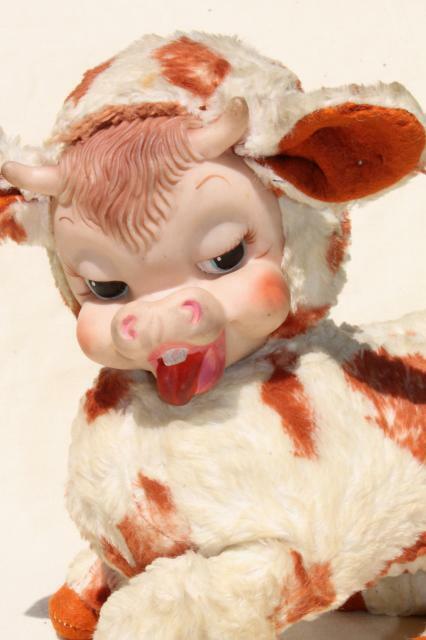 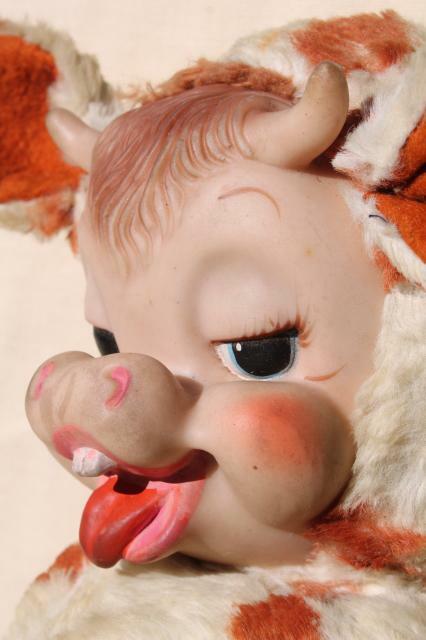 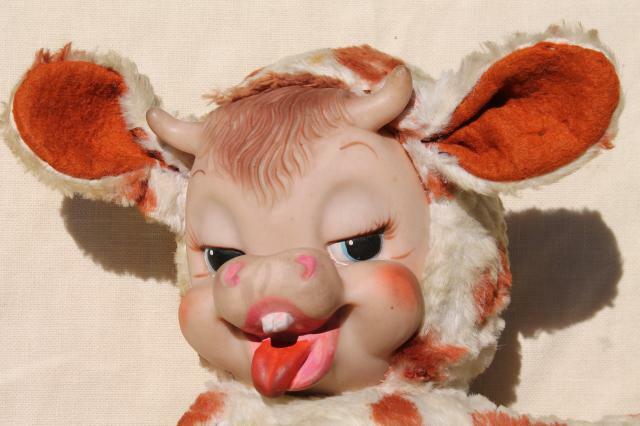 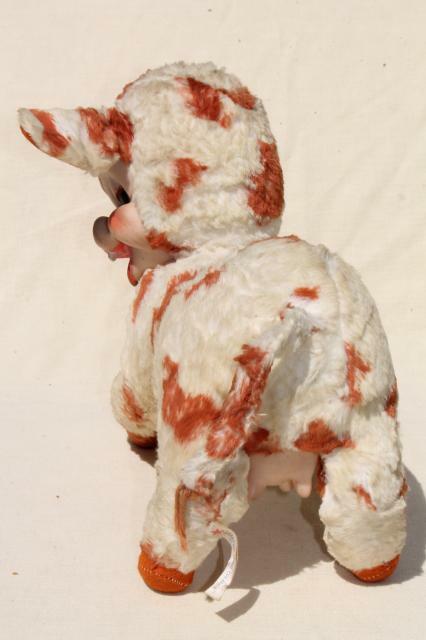 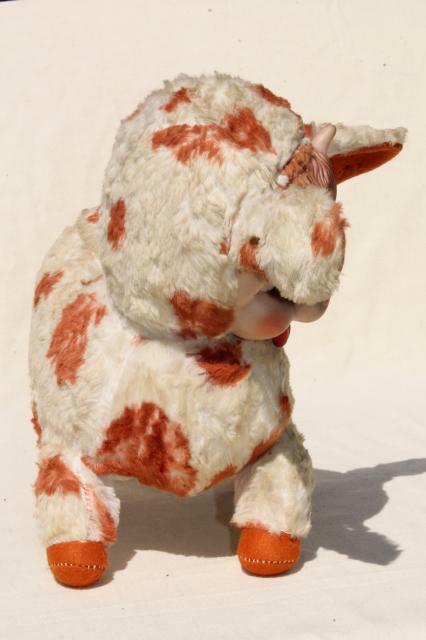 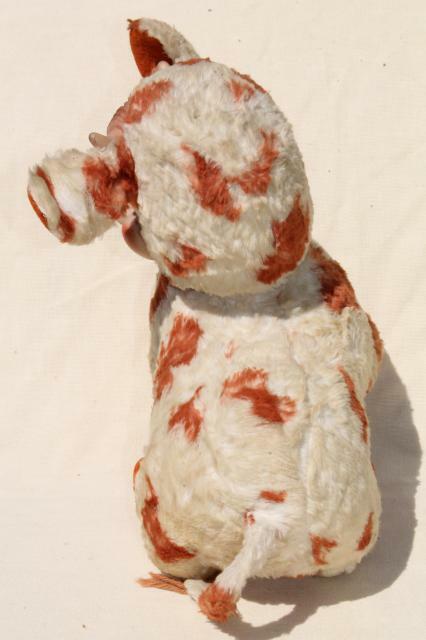 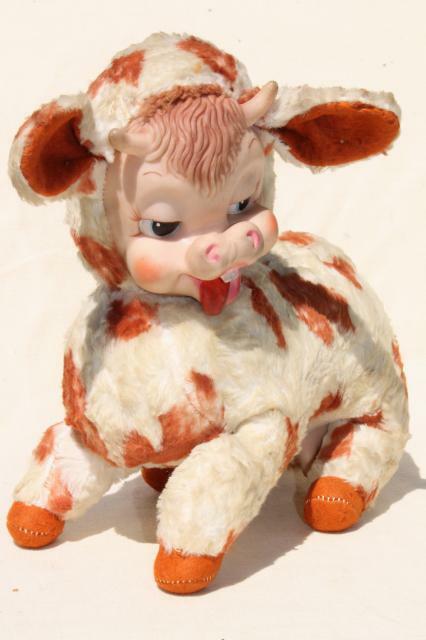 Cute vintage Rushton rubber face stuffed animal, a guernsey spotted cow or calf. 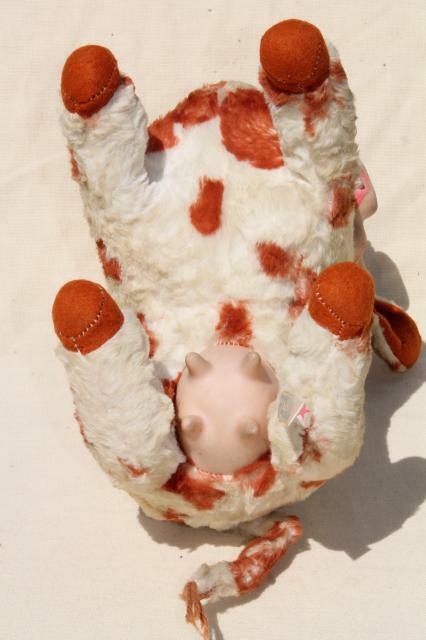 She still moos when you pick her up and turn her over! 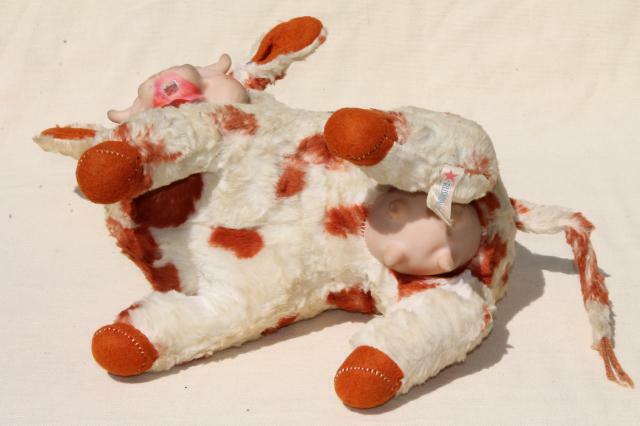 She's been much loved and worn although the rubber face and udder are in good shape without holes or cracking. 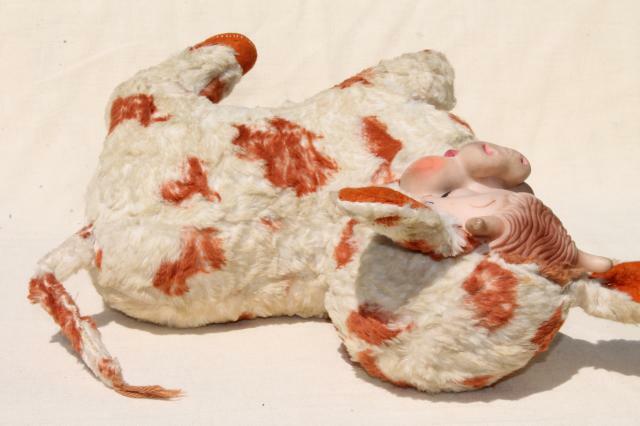 Her plush is worn and dirty, but has no holes. 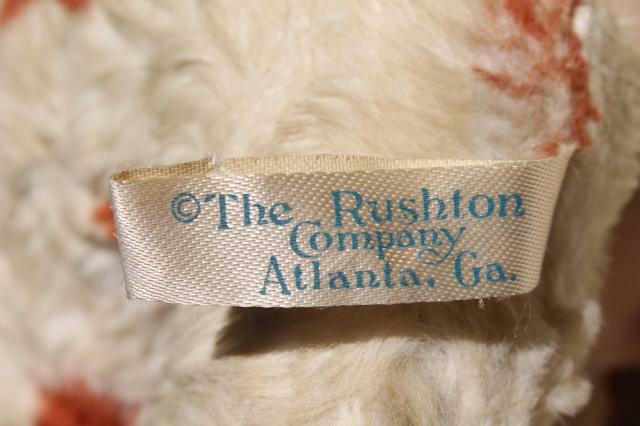 Measures about 11 1/2" x 11 1/2".